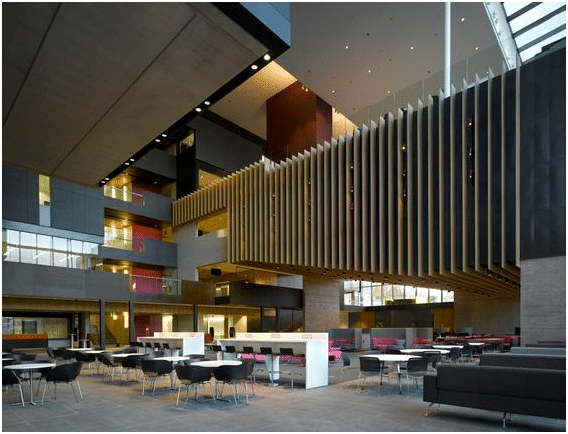 This project involved reinstating compartmentalisation in the breakout, cafe and kitchen areas. We used batt and mastic to make good original fire seals as well as new penetrations. We also installed load bearing fire compound to service penetrations through floor slab.